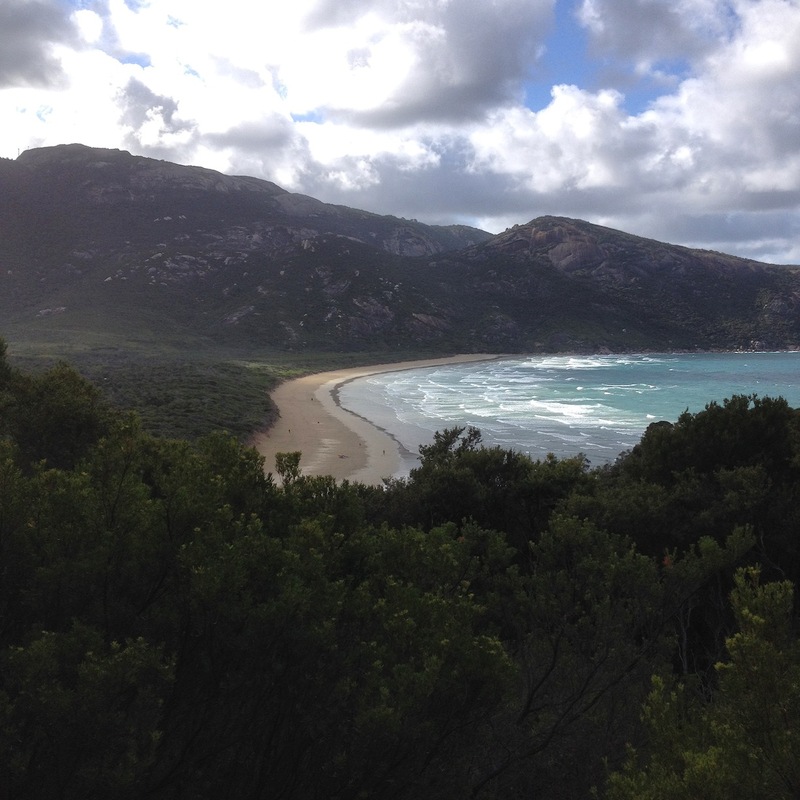 Visiting the pristine Wilsons Promontory National Park in Victoria last weekend, I was happily soaking up the peace, gazing at the gorgeous vistas, deeply breathing in the natural fragrances, running along Norman Beach, taking dips in the crystal clear waters, and wondering what else makes me love this place so much. Then it hit me – THERE ARE NO DOGS!!! Hallelujah! PERFECTION! And further to that thought; no dog owners trying to convince everyone how adorable their mutt is and how it wouldn’t ever possibly bite or snarl at anyone. Yeah right! Please Please Please powers of bureauracy never ever ever allow dogs into Wilsons Promontory National Park. No matter how much they try to convince everyone that it would be a fair thing. What’s not fair is that so many people are not obeying local laws thinking their lovely smelly slobbering fleabag is the exception to the rule. Our beaches are plagued with them. Dog non-lovers (and there are a few of us) are ignored and forced to share our beaches with dogs at all times of the day despite the rules. Recently I was sitting near two little girls on the beach on a hot summers day and a lady was blatantly walking her dog along the beach without a lead in the middle of the time of day when dogs were not supposed to be there at all. The little girls father was out in the water with his little boy, and a long way away in terms of supervision or protection of the little girls. One little girl said to her sister, “I’m scared of dogs.” The other sister replied nastily, “Get over it.” The point is that the little girl should not have been made to feel scared at the beach. She should have been able to enjoy the experience unthreatened. If something had happened the father was too far away to be of any use whatsoever. But that is another issue. So beautiful Wilson’s Promontory I will keep returning to have my soul renewed with natural beauty quietly confident that it will continue to be a sanctuary, not only for the Australian wildlife that lives there, but also for the people like me who do not share a liking for dogs. This entry was posted in Uncategorized and tagged beaches, beauty, dog owners, dogs, enjoyment, holidays, local laws, National Parks, natural, nature, pristine, wildlife, Wilson's Promontory by suesbent. Bookmark the permalink. Ill think you’ll find that people who don’t like dogs are often very insecure and a bit odd.